Tupac was a pioneer of hip-hop music and an international icon. His legacy lives on. This Tupac Hoodie aims to do exactly that. 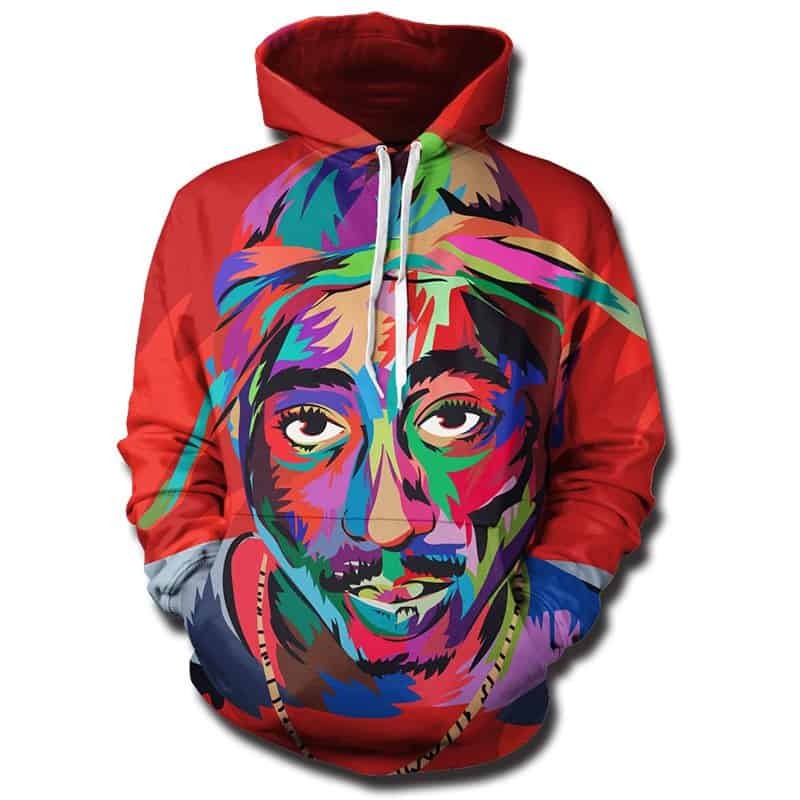 The hoodie features an image of Tupac with a camouflage style on top of a red backdrop. The hoodie is comfortable to wear, looks fashionable and is wearable anywhere. It was designed for both male and female.